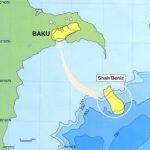 Azerbaijan’s energy minister Natig Aliev says Baku and Ashgabat are negotiating a deal to enable Turkmenistan to supply gas to the European Union through the Southern Gas Corridor (SGC). 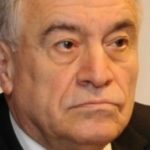 “There are two pragmatic ways; first is the construction of a Trans-Caspian pipeline and the second option is linking the platforms in Caspian Sea through undersea pipelines,” Natig Aliev told local TV ANS on May 22. 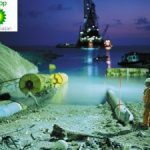 He added that SGC is projected to transit 16bn m3/yr of Azeri gas initially, but it opens the way for other sources, including Turkmenistan. 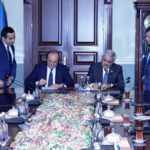 He added that 10-30 bn m3/yr of Turkmen gas can reach Azerbaijan through the Trans-Caspian pipeline, if Ashgabat signs a long-term agreement with European customers, because “we (Shah Deniz and SGC partners) should expand our infrastructures to be able to transit this amount of gas. 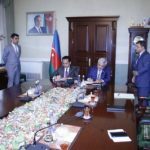 This is a costly project, while Azerbaijan has no plan to construct a Trans-Caspian pipeline, but we can transfer Turkmen gas after evaluating its profitability,” he added. 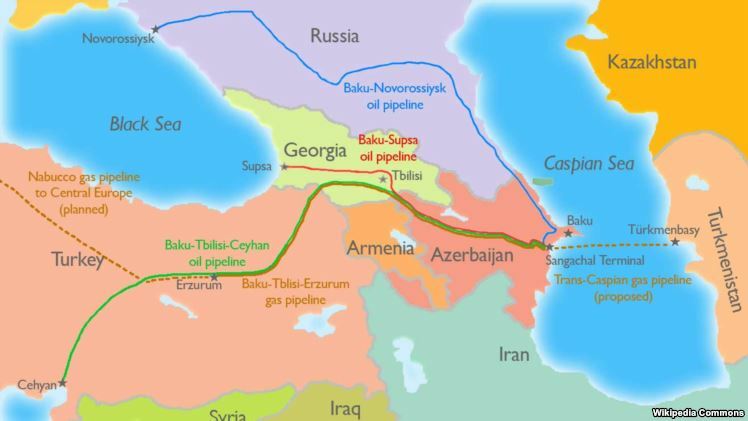 Aliev added that Azerbaijan also can receive about 5 bn m3/yr of the share of foreign companies (which have a production-sharing agreement with Turkmenistan) from the produced gas by linking the platforms (between Azeri and Turkmen offshore fields) via subsea pipelines. One such offshore, Turkmen-sector gas producer, is Malaysian state Petronas, which bought Statoil’s stake in Shah Deniz 2. To realise this idea, a long-term agreement between companies in Turkmenistan and European clients is needed. Turkmenistan has so far not ventured downstream, preferring to sell gas at its border. There is also still a problem with building infrastructure across the Caspian, owing to its legal status being undecided. If it is treated as a sea, the five littoral states have certain rights; and if it is treated as a lake, they have others. Russia, as a littoral state, might object to parties building pipelines into its markets, and could try to use the ‘Caspian Sea status’ argument as a way of holding things up. Currently, the transit capacity of the Trans-Anatolian natural gas pipeline (Tanap) and Trans Adriatic pipeline is 31bn m3/yr and 20bn m3/yr respectively, although contracted volumes are 16bn m³/yr for Tanap and 10bn m³/yr for TAP.